Well this morning, I woke up to an extremely depressing sight. 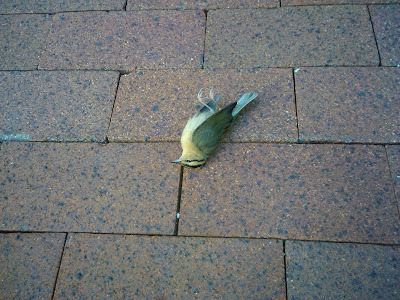 I was on my way out of the building to work, and found a perfect worm-eating warbler lying dead on the pavement. 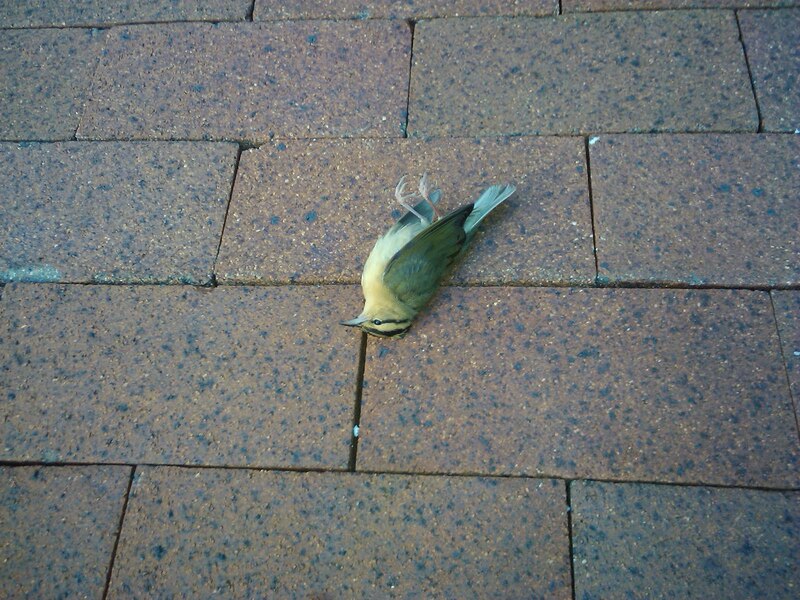 Window strikes are the number one cause of mortality in birds annually. While everyone likes big windows in their home or office to let in natural light, and give them a beautiful view to contemplate, most don't realize that birds - having no concept of glass - fall prey to those windows. 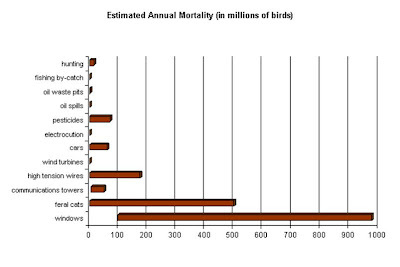 "Between 100 million and 1 billion birds die from crashing into glass every year in North America alone, according to Audubon Magazine; they are either confused by the reflections in windows or simply can’t see the glass, and fly into it at full speed." I want desperately to help people become aware of this issue, because there are so many workable solutions out there to solve this problem. There are films that you can buy to adhere to your glass that make it visible to birds, without obstructing your view. There is also bird-friendly glass out on the market that uses technology borrowed from spider webs to make glass visible to birds while keeping the glass clear to the human eye. With so many options, both high tech, and low, expensive and cheap, we should be able to keep birds from meeting their demise at the expense of our view. Groups like City Wildlife's Lights Out DC, Lights Out Chicago, Lights Out New York, and FLAP exist to try and raise awareness, yet most Americans have never even considered the fact that glass is such a deadly killer - it's worth spreading the word!